7th Grade Phenoms & Another #1 Nationally Ranked QB ? Typically we don’t run stories on kids that aren’t at least in high school, but once in a great while an exception is made. Over the last 10 years Taylor Barton has coached a host of NFL and D1 QB’s while himself setting every high school passing record the state of Oregon has ever known. Super Bowl MVP Aaron Rodgers, Rams QB Kellen Clemens, UW great Jake Locker all have benefited from Barton’s services. Over the past three seasons Barton has trained and mentored two of the nations’ #1 ranked HS QB’s in Jake Heaps (Kansas) and currently Max Browne (USC). All of this said as Barton says this about 7th grade QB Connor Neville (6-0 155 7th) out of Beaverton. 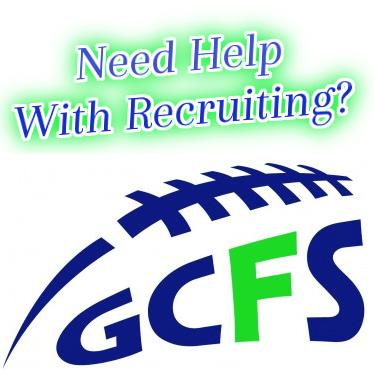 ” He’s best 7th grader I have ever seen in my life, and in today’s competitive recruiting world I wouldnt be surprised to see him get offered right now”. Connor Neville is a kid that we call ” The Example” and is freakishly good. Skill wise he could come in and be a Varsity quarterback right now. He looks like one of the juniors or seniors during workouts minus the baby face, and most of the time is better then them. Neville has Barton’s records memorized and posted on his bedroom wall, as he plans on breaking all of his trainers “untouchable numbers” someday. Add in twin brother Jonny Neville (6-2 160 7th) and you have one of the most lethal one-two combos in the country. We are sensitive about talking in such bold terms when referencing kids this young, but you are not going to find a more humble and respectful couple of young athletes. The support system they have at home is what makes this situation unique as our Head Washington coach James Laurence says it best, ” You couldn’t handle a situation better then Tom Neville and his family do with regards to Connor and Jonny’s talent level”. Both of the kids simply just love the game and there isn’t anything they would rather be out doing. When referencing his goals Connor Neville says, “I want to start as a freshman, win state titles my junior and senior years, and hopefully break all of Taylor’s records”. Its great to see the passion both of these kids have for football. Both of them take their academics seriously and are part of the NEI/Barton family. Jonny Neville has been fighting injuries over the last few months, but is head and shoulders (literally) above anyone else still playing youth football. His route running for a 7th grader is nothing short of phenomenal, and he to has set big goals for himself, ” I want to lead the nation in receiving as a senior, and just like my brother I would like to start as a freshman”. There are very few guarantees in life, but I would venture to say that both of these kids have some special years ahead. They refuse to be out worked which is where it all starts. All they want to do is work on their game and become the best players they can be. We will have many more good stories to come from a variety of young athletes, but get used to hearing the name Neville or if you are a DB seeing the back of the jersey.